App makers already have so many wearable platforms to choose from. 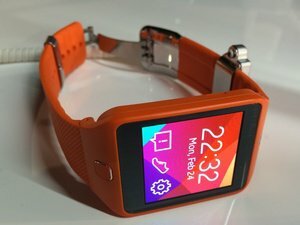 There’s the Pebble SDK, which drives the crowd-funded Pebble’s e-ink screen; Samsung’s Tizen, which powers its second-generation Galaxy Gear smartwatches, and Sony’s own SmartWatch developer platform, just to name a few. And now there’s Google’s Android Wear, which brings the Android codebase and developer tools to those looking to expand beyond phones and tablets. The last two days have evoked a flurry of reactions from around the web about what’s in store for Android’s future, now that Google has officially blessed the smartwatch trend. But it’s the developers who seem to be the most excited about showing users what their apps are capable of on your wrist. We talked to a few app makers with popular titles in the Google Play store and the message is clear: they’re running—not walking—to develop for Google’s newly released Android-based wearables platform. Now that Google’s Android Wear has officially entered the ring, developers can choose to stick with an SDK that’s directly connected to the Android codebase and Google services they already use to write mobile apps. That’s why indie developer Ryan Oldenburg, the brains behind the app PushBullet, which pushes Android notifications directly to your desktop, is betting on Google’s wearables SDK. “Android Wear provides a solid foundation based on Android...and it already has a huge number of partners,” he said. “This means the audience for Wear-optimized apps is going to be huge,” he added. There is a slight caveat to all this, however. The Android Wear SDK only works with Android 4.3 and higher, which means that developers will be limited to a fraction of the total Android market (currently at about 9 percent of Android users globally, according to the Android Developer dashboard). You may have heard of Evernote, the company that has managed to make its feature-filled note taking app popular on almost every single platform imaginable. The introduction of the Android Wear SDK is just another method of distribution for Evernote so that it can convince more users to stick to its products for their archival needs, and possibly try out some new features, too. 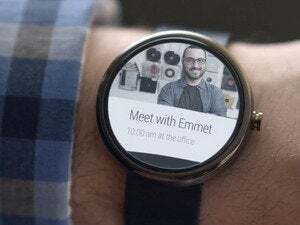 “[Android Wear] seems very much focused on notifications and voice control, which I think will make it extremely accessible to a mainstream audience,” said Damian Mehers, senior software developer at Evernote. “There is a natural match with Evernote’s existing notification capabilities whereby you can tell Evernote to remind you about a specific note at a specific time.” Mehers added that a future iteration of the app could integrate some kind of functionality that would allow users to create a note while busy (say, when driving a car) simply by saying “OK Google, Take a Note,” or to quickly search through notes via voice. 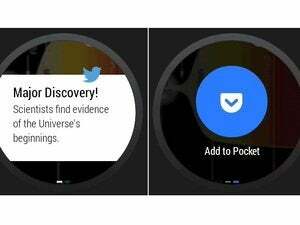 Android Wear also introduces a peculiar new concept derived from traditional watches: a round screen. You may wonder how developers will get around that new type of display, but Bondi just sees it as something that “will force app developers and designers to ensure that only essential information is being displayed.” That should help keep those notification popups short and sweet.